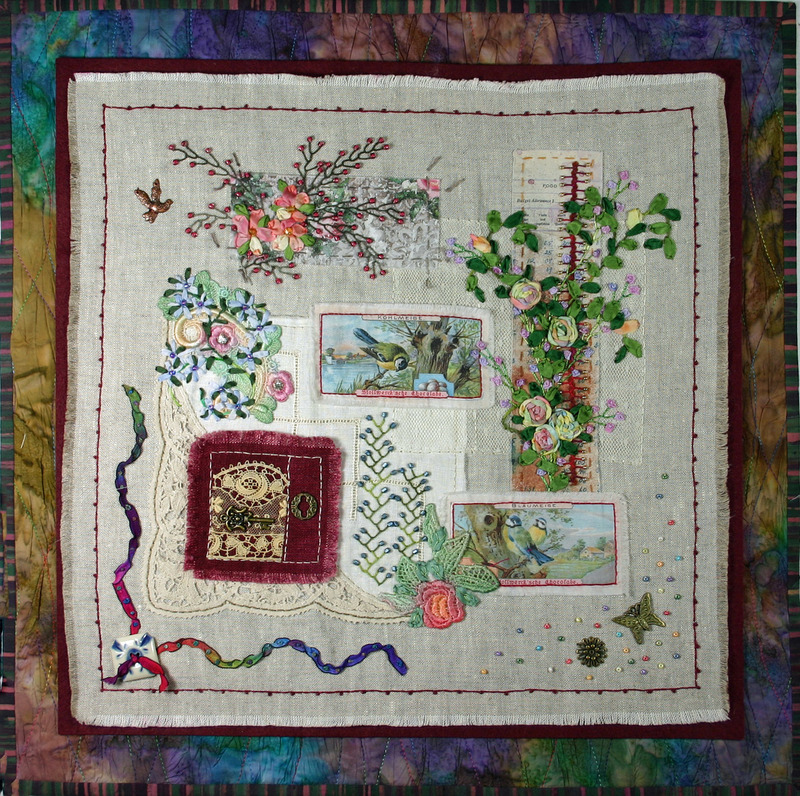 Silk and Linen are the focus for this Tuesday’s Twitter Quilt, “Twist and Twilt”. 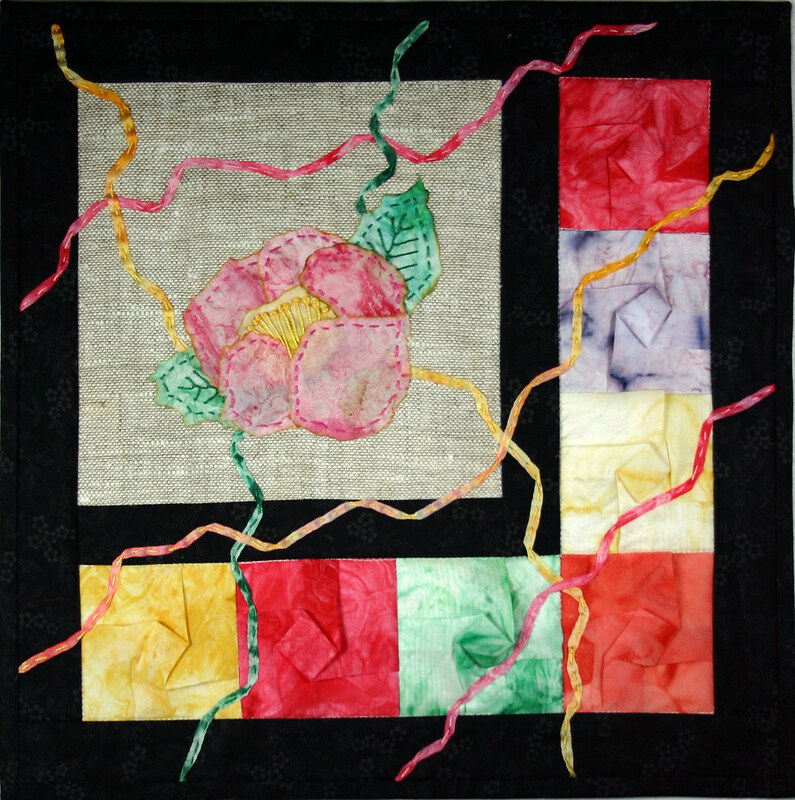 The ribbons and the twisted blocks are made from silk ribbons and silk fabric that was scrunch painted. 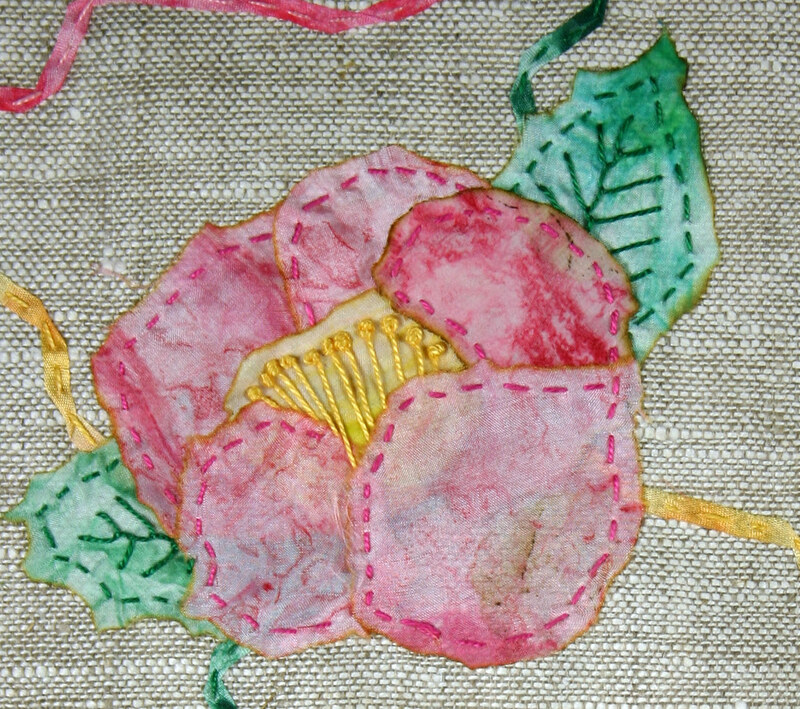 The painted fabric was also used for the flower. 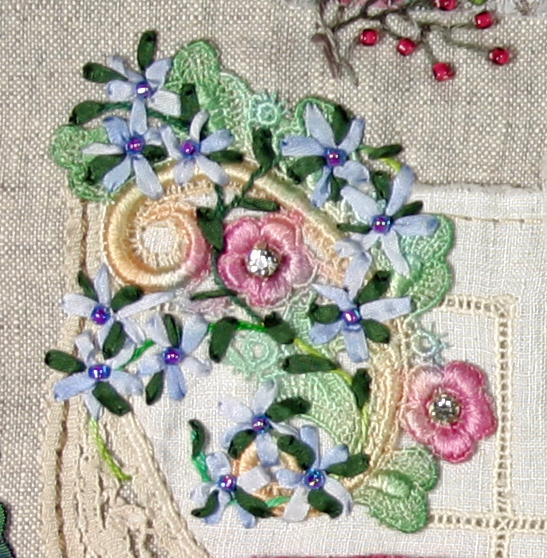 The blocks are folded and basted to a backing fabric before the top was pieced. 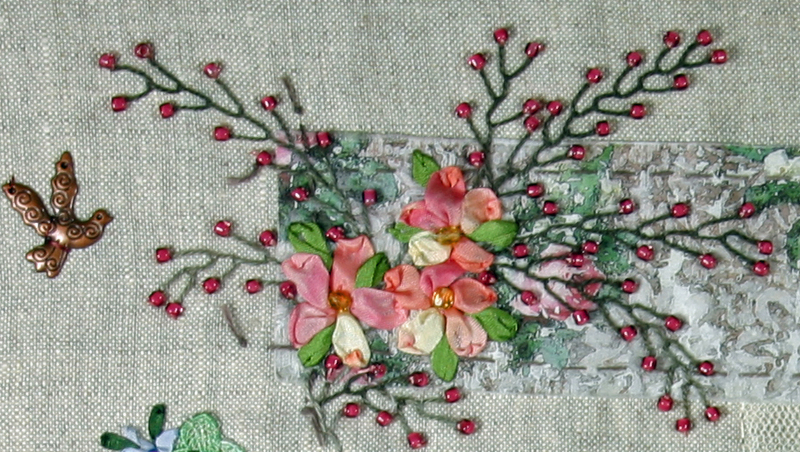 After the quilting was finished, I mostly stitched in the ditch, the ribbons were laid out and twisted as I applied them to the Linen block with a running stitch of #8 pearl cotton. 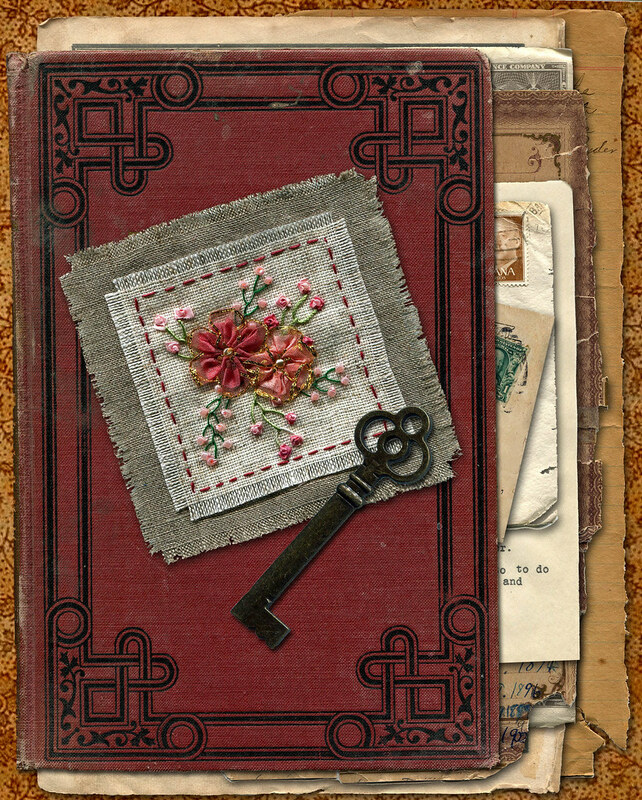 Each petal and leaf of the flower was shaped using a candle to burn the edges. 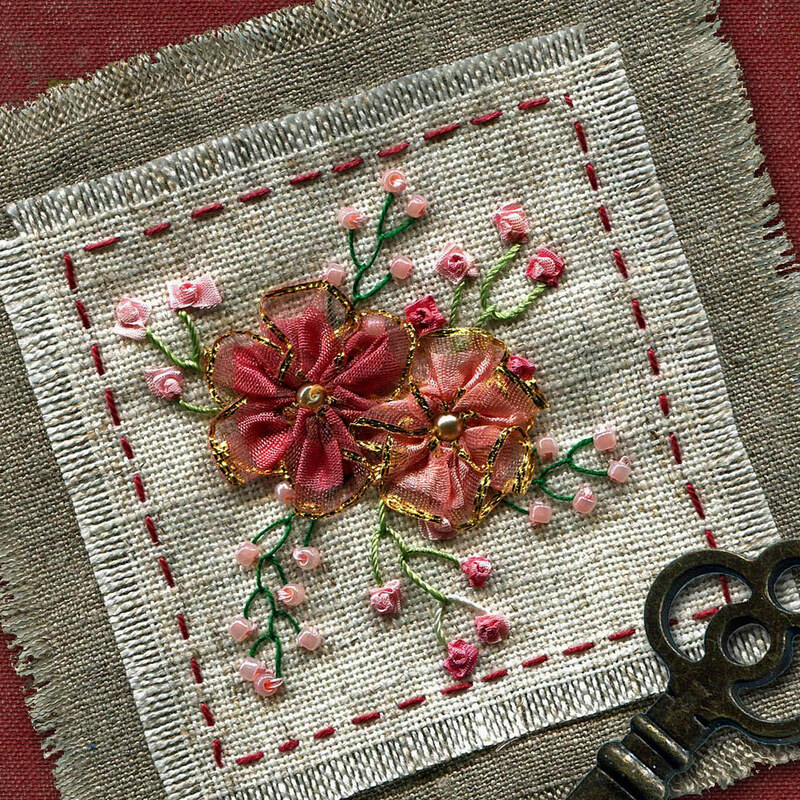 The shapes were than applied using a running stitch with pearl cotton and embroidery was added to the leaves and flower center. 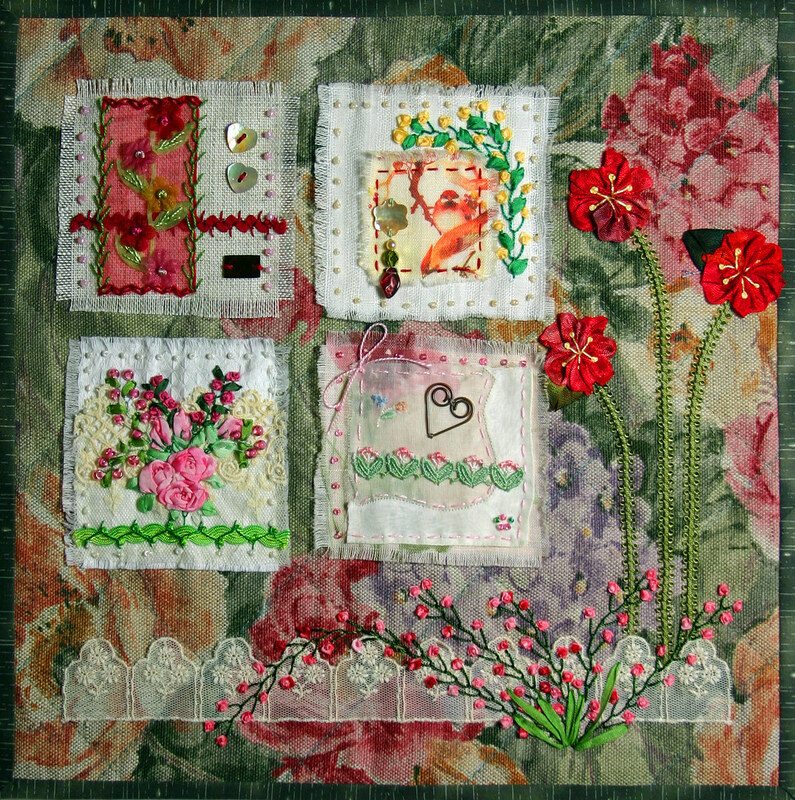 Credit goes to Yvonne Porcella who introduced me to the techniques through her books. She is a fabulous artist. New this week: You can now subscribe to this Blog by Email through Feedburner. Or you can subscribe to the feed through Bloglines or using RSS feed. Just click one of the buttons on the right.